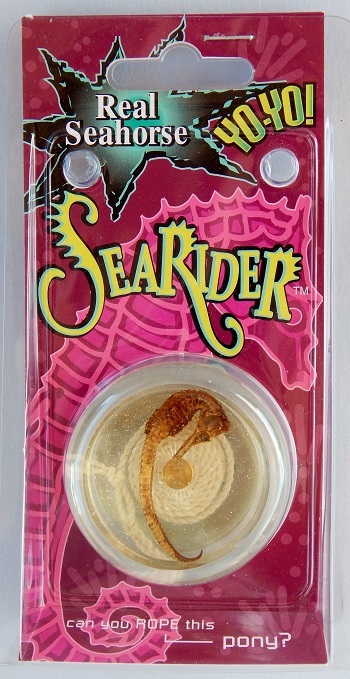 A yo-yo with a real seahorse imbedded into one yo-yo halve. Very unusual. Other similar Small Minds Press yo-yos had embedded objects in them such as a scorpion, a sea horse, sharks teeth, "killer" bees, and a Heather plant in blossom. Quite a market niche.